Squiggly sudoku is a variation on the traditional sudoku game. 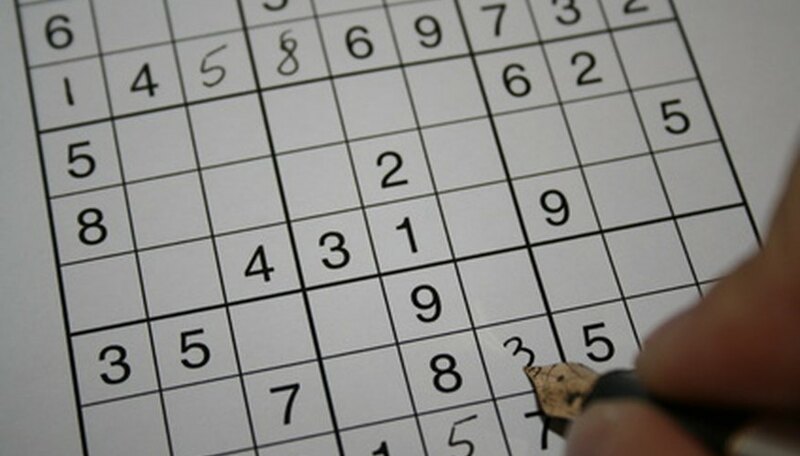 Most sudoko games are played on a square composed of nine boxes, each measuring three squares down and three squares across. With squiggly sudoku, also known as jigsaw or irregular sudoku, the boxes can have a variety of shapes and may contain fewer than nine boxes. The distinct shape of the board and the spaces within it provides a new challenge to seasoned sudoku players looking for a more difficult puzzle to solve. Count how many squares comprise the height and length of the total game board to determine how many numbers you will be working with. The board will always be a perfect square, so this number will be same. This is also the number of squares present in each squiggly shape. If there are fewer than nine spaces in any of these measurements, you will work with the numbers available in the spaces provided. For example, if the puzzle is six spaces tall, you will only use numbers one through six. Use the numbers already present on the game board to begin your determination of which numbers fit in the blank spaces. With squiggly Sudoku, you will still have only one of each number in any vertical or horizontal row. Each shape will also have one of each number in it. Work with a number that is frequently present on the board, or with a shape or line that is mostly filled in. For example, if the number three is present in several lines, you should be able to easily determine which line and shape does not have a three and does not intersect with any other adjacent threes on the board. Double check your work as you fill in missing numbers. The number you fill in must not be present anywhere else on the vertical or horizontal line, and must not occur elsewhere in the same squiggly shape. If you find the strange shapes difficult to distinguish as a glance, try shading in the various squiggly shapes with different colored pencils. Work in pencil so you can easily correct any mistakes. If a space may have two possible answers, sketch both numbers in very lightly until you can make a better determination.